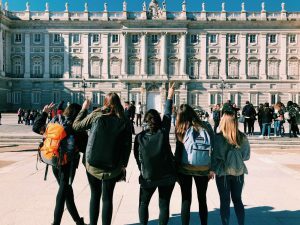 Home / Blog / A Look Into My Time Abroad! 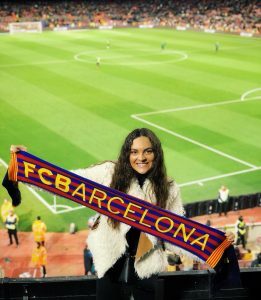 SAI recently caught up with SAI Ambassador Ellie, who reflected on her memories in Barcelona. Studying abroad has added onto my life goals. I have always looked forward to having a family, being successful, a good friend and all those things. But now a new goal and something I have set my eyes on is traveling. I loved seeing new places, meeting new people, and being thrown in with new cultures. 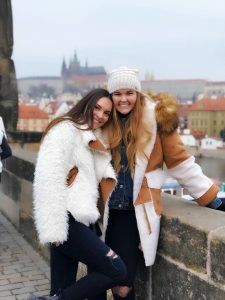 The travel bug is in full force and I can’t wait for my next adventure! I feel like I learned so much while I was there – things I would do differently, and things I would do the same. But I think a majority of it you just have to figure out while you’re there. However, a couple tips I would give is to jump in with roommates and people in SAI right away. I came alone and wanted to travel. Luckily my roommates did as well so the first week there we booked three trips together. Don’t be shy, it’s a time you will never get back! Pack lightly. On weekend trips, I packed in a hiking backpack, and it was a life saver when having to walk especially because Europe’s roads aren’t all the smoothest. Try new foods, go to places you never would think to go to, open yourself to ideas, people, and experiences you wouldn’t usually do. It will make your trips way more eventful and you may learn a thing or two about yourself by putting yourself out there! 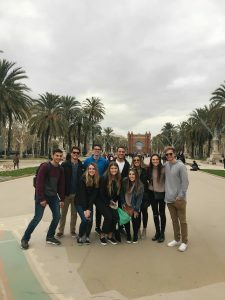 Ellie was a spring 2018 SAI Barcelona student from Washington State University.